We will work quickly and efficiently while we represent your workers’ comp case. Becoming injured while on the job is not something that is ever hoped for. Not only can a personal injury at work prevent you from earning your pay, but it can lead you to a long recovery road. At Koontz & Smith, Attorneys at Law, we have a successful track record of helping our clients achieve workers’ comp benefits when they have been injured on the job in Salisbury, North Carolina. If you are considering your options for workers’ comp, turn to us for the legal representation that you need. 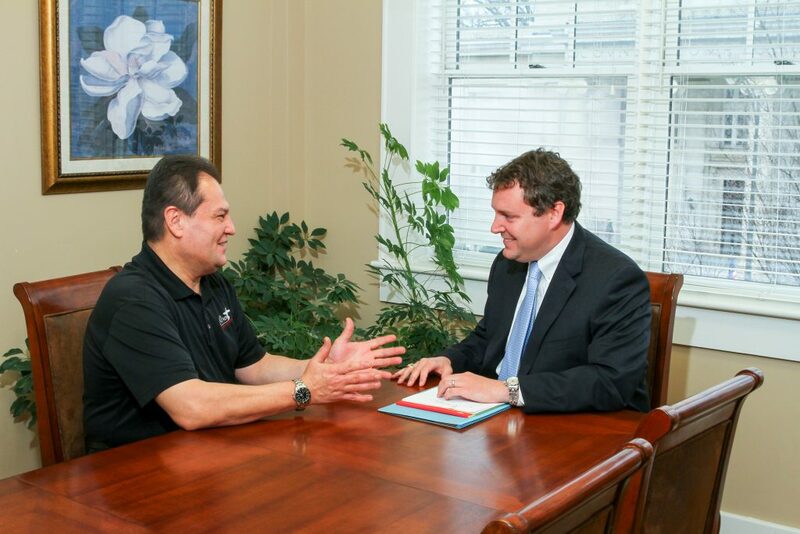 Because we operate a small firm, you’ll find that working with a personal injury lawyer from our team affords you personalized service and the attention to detail your case deserves. If you are recovering in the hospital, we can come to you to ensure that your questions and concerns are heard and that we understand fully the scope of your workers’ compensation case. As your personal injury attorneys, we will work quickly and efficiently while we represent your case and ensure that you are awarded the workers’ comp benefits that you deserve while you are unable to work. It’s important to us that you have the legal representation you need and that you feel confident your case will be heard. In addition to workers’ comp benefits, we also specialize in personal injury law, including auto accidents and wrongful death. We are committed to helping you and your loved ones get the benefits you deserve. Contact us at Koontz & Smith, Attorneys at Law today for more information about our services and to discuss your workers’ compensation case. We are standing by to assist you. At Koontz & Smith, Attorneys at Law, we provide legal assistance for those seeking workers’ comp benefits in Salisbury, Davidson, Kannapolis, Concord, Statesville, Mooresville, Lexington, Granite Quarry, Mocksville, Spencer, and China Grove, North Carolina.